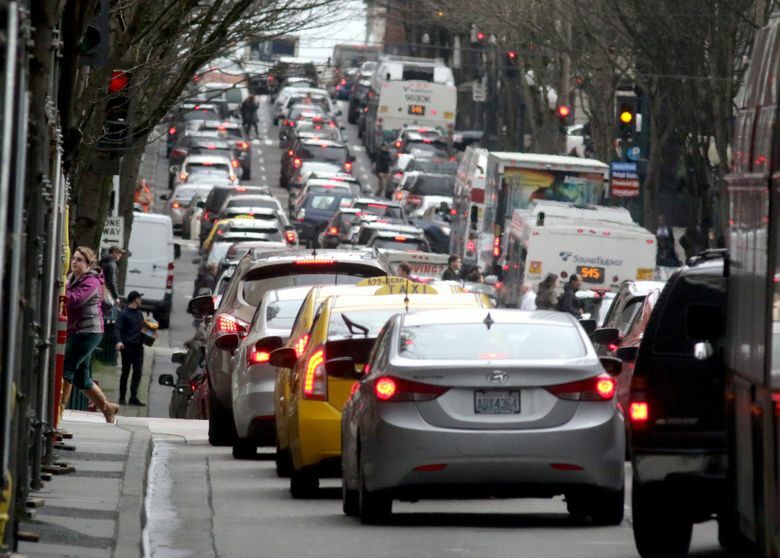 Uber's vow to lobby for congestion pricing in Seattle could be the biggest boost yet for a City Hall effort that's certain to encounter political roadblocks. Uber says it plans to spend money lobbying for congestion pricing in Seattle as part of a $10 million push for “sustainable mobility” policies in various cities. Ride-hail companies want to put as many of their drivers on the road as they deem necessary and would rather see cities adopt tolls than put caps on ride-hail vehicles. The companies also have apps that can easily account for congestion pricing. That 94 million miles amounts to only about two days of driving in the Seattle area, Uber countered. “We applaud Mayor Durkan’s commitment to put Seattle at the forefront of U.S. cities taking bold steps to address climate change and traffic congestion,” Hambley said.